The U.S. Fish and Wildlife Service and Michigan Department of Natural Resources are working to increase awareness about Asian carp. 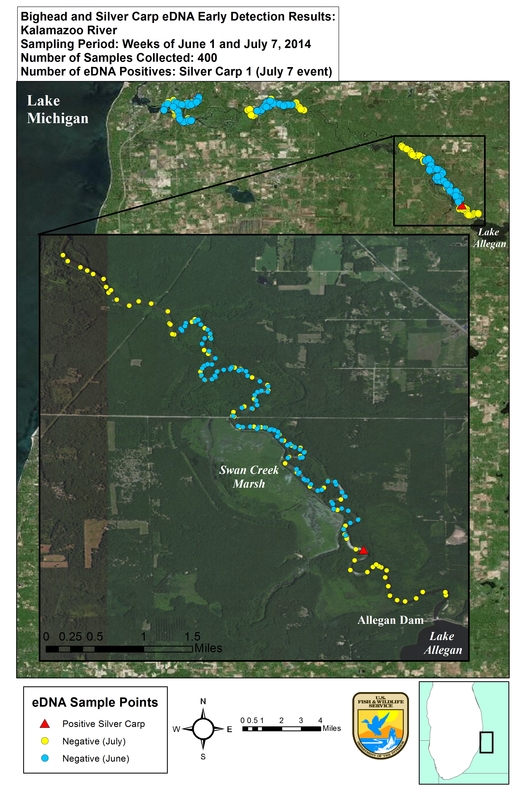 Populations of this invasive species have not been found in the Great Lakes system, but recent monitoring results indicate the presence of genetic material of Asian carp, such as scales, excrement, or mucous in the lower section of the Kalamazoo River. This finding has prompted closer monitoring for the invasive carp, and this involves all of us that are on the water. The recent press release includes photographs and a link to a video describing how to identify the fish. 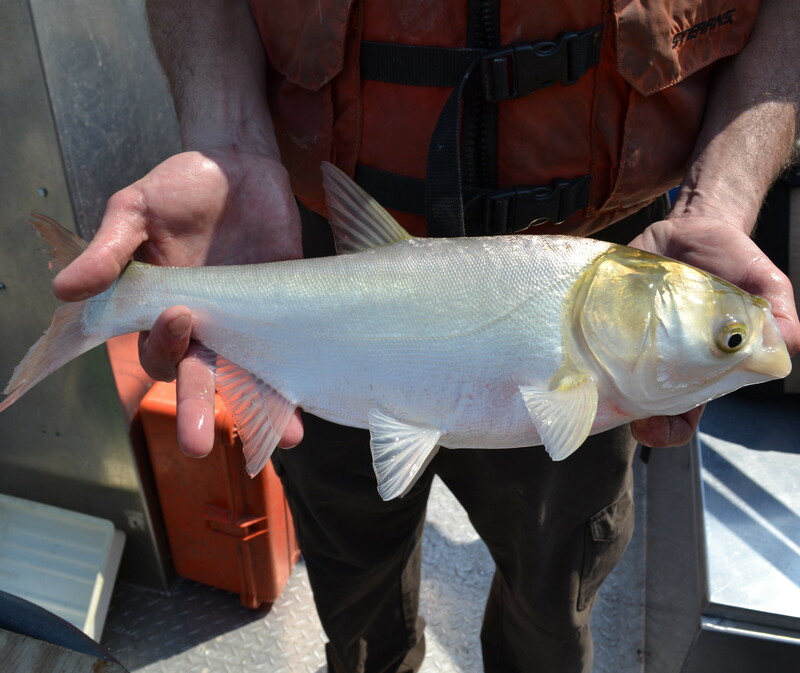 Contact your local DNR office if you believe you have seen Asian carp in Michigan waters.